Biocrime is an intentional release of lethal agents like biological,chemical and radioactive. Bioscientists are conducting underground medical experiments in top-secret lab modifying virus and engineering pathogens . 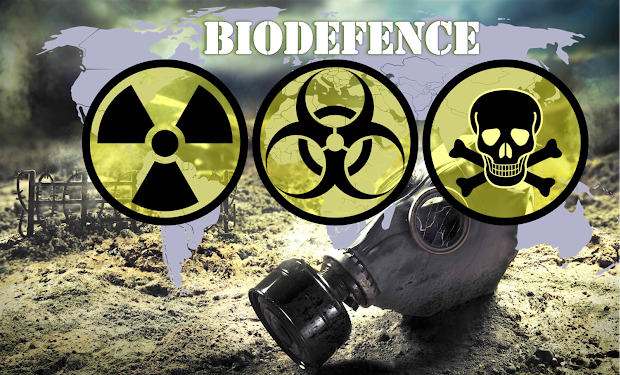 Biodefence (Biosecurity) it’s defined as a set of procedures intended to protect humans, animals and the entire living ecosystem against, modified diseases, chemical, radiation or harmful toxic agents and deterring unethical scientific activities or highly arsenic materials being disseminated into living community intentionally by the recklessness industrial factories or [unknown] enmity elements. Sometimes these biocrimes could be committed by international conglomerates e.g. drug producing corporate and pharmaceutical firms with reasons to test new pharmaceutical products for medical trial on unsuspected populace. Usually this done through secretive agencies that co-opted with a local health programs such as immunizations or high jack the endemic disease control campaigns to acquire biostatistics and data of citizens who are being infected in unsuspected experiment. Sometimes the threat has hostility intents beyond, especially when military forces deploy deadly pathogens as bioweapons on conventional battlefield or in the territory of the enemies to wage havoc and disastrous causalities. Biodefence programs are responsible for creating awareness, vigilance, preparation and defend the nations about any illicit of medical related problems that may hinder the national security and people’s peace of mind. Military researches are being conducted to weaponize Ebola, Marburg and others. Bioterrorism: Is usually an act of deliberate release of viruses of epidemic diseases, harmful toxins, chemicals, bacterial contagious agents, or other germs to cause mysterious illness or death in people, animals and plants. This oftentimes reflect some hostility or simple just medical notoriety in order to steer health problems in a specific region or certain country and it may generates public panic which will lead to civil unrest and political subversion against national leadership, when the health system in the country collapse beyond imaginary. In twenty-first century, the rest of the world have experienced shocks, crises, and fears emanating from various haunting bio-assassinations like the one happened in the board day-light at Malaysian International Airport the murdering of North Korean leader Kim Jong-un’s half brother Kim Jong-nam last year has become the reference point for authorities including the police in dealing with bioterrorism threats. These kinds of events are really define our turbulent times that we are in: U.S anthrax letter attack (2001), weapons of masses development researches that conducting scientific trial on various health scourges like Smallpox, Ebola virus and so forth . This is a troubling moment that shrouded with pressing dangers to human beings as individuals, nations ,and the entire global system facing unfathomable threats ushered by undisclosed bio-chemical weapon projects, bioterrorism, experimentations and miss uses of science and technology. The Bio-threat is additional to cybersecurity that also stalking on our daily activities. The new threat imparted by infectious diseases like Hepatitis E outbreak in Namibia and genetically engineered GMOs plus pathogens pose a great uncertainty to humans’ lives and challenge to national security. Experts argue that military forces should adapt to new fundamental policy changes if they could patch a vulnerable gap that exists between security and health to safeguarding nations. Biodefence in military plus biosurveillance system in a country are necessitated for forming a Bionetwork to supervising on unethical scientific activities and possible entry routes at cross border and airport terminals. The double-edged problem unleashed by biotechnology has once again raises a serious concern that needs some fresh rethinking in redesigning the national security modalities to enable mitigating and deterring the threat posed by biocrimes and pharmaceutical corporates who may pursuing scientific advances to test their new products on innocent people. 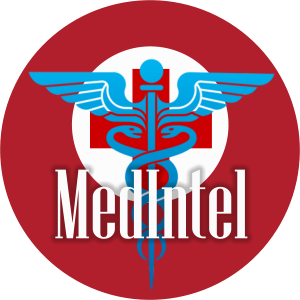 Therefore our military must investment in military laboratories, medical intelligence (MEDINTEL), data systems, and general workforce which often will produce dual capabilities that protect humans and shield the nations against possible intentional infection intents and cross borders’ infectious diseases. This argument of advocating "biosecurity" is a national and international political agenda which is very critical because many people don't understand. I know it may initially be greeted with skepticism by those who really don’t understand the complexity scathe of modern biological warfare. We should be reminded that what has transpired recently, however, represents some obscurities of which risks are still unfolding and are not yet fully understood, policy makers may ignore this national vigilance at their own peril. Bio-agents can be classified into three categories, depending on their chosen degrees of lethargic, efficiency, volatility and sensitivity. Category (A) agents are considered the highest lethal; Category (B) and (C) agents are those that are considered with moderated emerging threats for death which suitable for incapacitation. Germs: Viruses, Bacteria, Parasites and (pests). Philosophy of Bioterrorism: The main motive of bioterrorism is: '' To kills just few so that can hurt many to scare everyone'' Bioterrorism Strategies: (1) Induce fear; (2) Disrupt the social order; (3) Create health panic; (4) Disrupt country' economy through medical isolation; (5) Coerced a government or state to certain ideologies; (6) Execute a natural-like death for scientific assassination of key political leaders. During wartime any enemy can resort to any means that render enemy destruction. Are we prepared? Of course not! 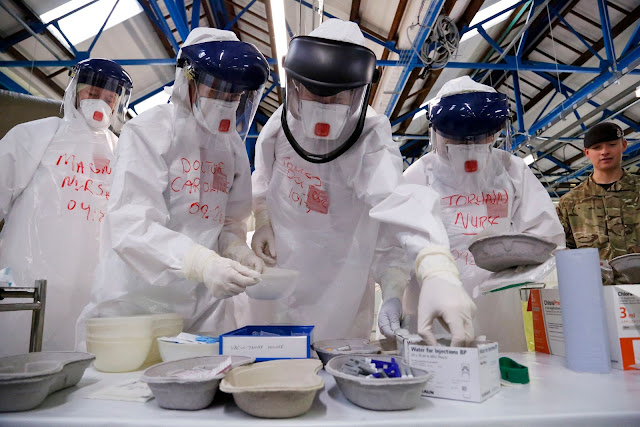 The problems ushered by the threat of bioterrorism and the complexity of natural disease epidemics weave together to form an interdependent policy challenge of which mankind have never experienced before. The threats of genetically modified plagues have a potential to disrupt the normal functioning of any society. A simple bio-attacks that just infect numerous people which are comparatively too small statistically could have a profoundly destabilizing psychological effects on entire nations. A biosecurity counter measure or an unit that specialized in Chemical Nuclear Biological Radiation (CNBRs) in NDF is highly needed to carry out various procedures which are dedicated for inspection, monitoring, safeguarding the nations and ensure a Biodefence for the state and as well as for soldiers during peace time and war time, from any threat of possible viral, chemical, toxic or bacterial infection that may come as result of conventional biowarfare, bioterrorism and etc. 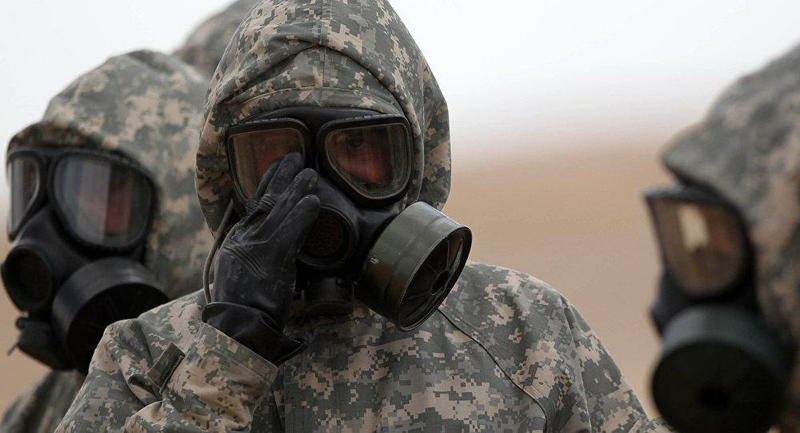 Military biochemical units will rapidly response to any biological or chemical warfare by deploying required biomaneuvering strategies or equipping the skills to members of security services to help combat bio-assault, assisting civilian with decontamination process or accessing alleged bioterrorism threat in the country. An established national biodefense platform which comprises some elements from military and civilian domain will afford to develop some good technical applications, example autonomous biosensors and monitoring technologies that spot germs in advance before inflict sickness in humans. 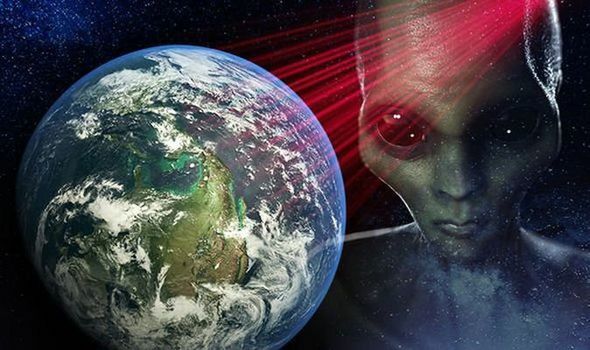 It is defined as a responsive maneuvers performed routinely for general precautions,awareness and preparation on offensive and defensive against any possible biochemical or biological attack. These special domain is fall beyond civilian settings, since biodrill defined the military activities that are done in a maneuverable conducts in demonstrating some realistic simulations when testing pathogens and tactics that might be used in a bioterrorism attack or conventional biochemical warfare. The main reason for soldiers to carryout constant biodrill is to seek a quantitatively answer to the critical questions pertaining to what might happen in actual situation when facing enemies who armed with bioweapons or quelling insurgencies that deploying malicious agents to inflict intimidation and terror in the country. The Geneva Convention of 1975 on bioweapons, is the only official protocol in dealing with the problems of biocrimes and unethical human experimentation, in fact the treaty is ineffective in controlling the proliferation of bioweapons due to lack of formal controlling platforms, because some nations hide their bioweaponry programs under umbrella of pharmaceutic researches, which makes extremely hard to differential between bioweapon from a normal drug. A bioweapon while it is at its prime stage of development can’t be identified since such particular bioproduct is a very helpful just like a normal drug with positive contribution to the medical health society, but again with little further processing it can becomes a killing agent. Another serious concern is that rebels and terrorists, they don’t follow or abide by international rules on the development and use of biological weapons, so this is worth for a heed.